With a University degree in French and German, Florence was well placed to move to France and work as an English lecturer at La Sorbonne. To complement this part time role she works with the agency and makes the most of the our free French lessons to progress her language skills as well as socialise with other members of the agency. 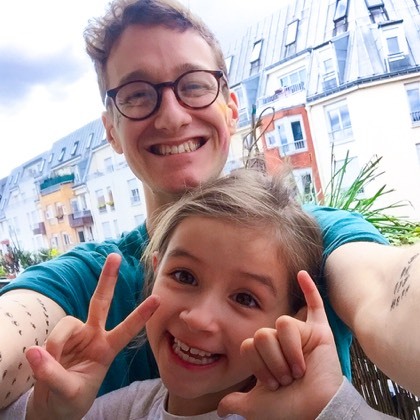 Joey first studied film in France as part of his University degree and always wanted to come back and immerse in the French ciné-culture and continue with her French. While completing his CAP petite enfance diploma, as a childcarer, he enjoys completing arts and crafts and cooking. When it comes to Paris he likes the community feel that each Parisian arrondisment offers. Brittany started working with the agency while she was completing her final year of University here in Paris at Science PO. 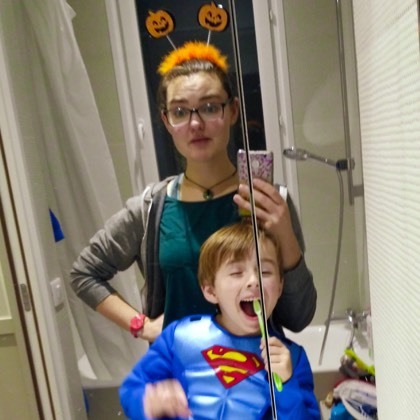 She has relished the chance to learn a new language and discover the joys (and challenges!) of moving to another country. Brittany plans to move back to Melbourne after her time in Paris to start her Masters in Criminal Pyschology. 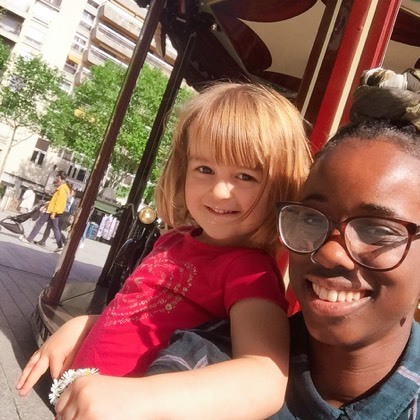 Lakeishia came to Paris to join the CAP petite enfance diploma after completing her University studies in England (BA Working with Children, Young People and Families). 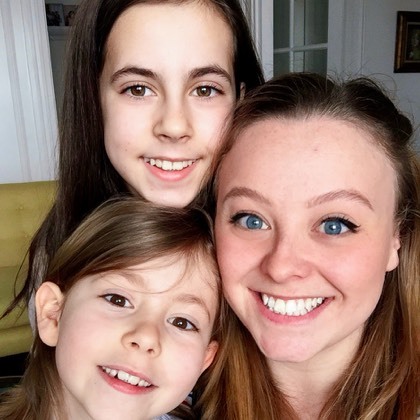 For her learning French has been both the biggest challenge and reward and even completed her own private lessons in addition to the course tuition to make the most out of her time in France! Josh studied French and History at University in the US and so naturally he wanted to spend some time in France to practice the language. Prior to being in Paris he also spent time in Madrid in Spain. 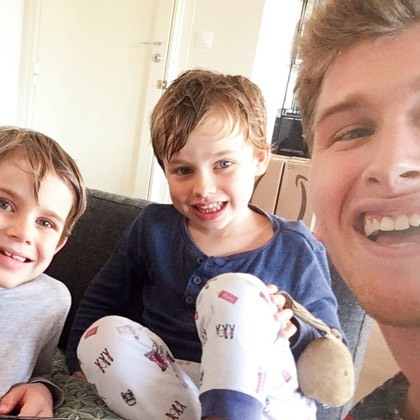 He enjoys balancing his childcare work with socializing, sport and making the most of the French culture. Fiona is no stranger to Paris as she has previously worked in the city a few years ago. 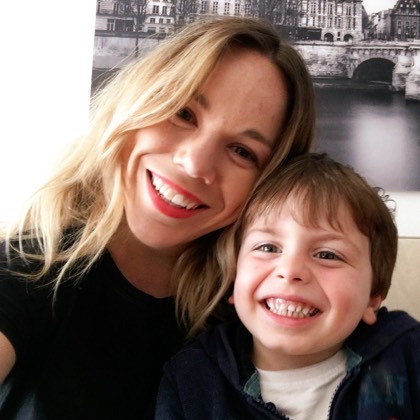 After some time in Spain, she returned to France to complete her CAP petite enfance diploma with the Paris Institute of Childcare Training and work with the agency as a childcarer. Fiona is a natural with children of all ages! 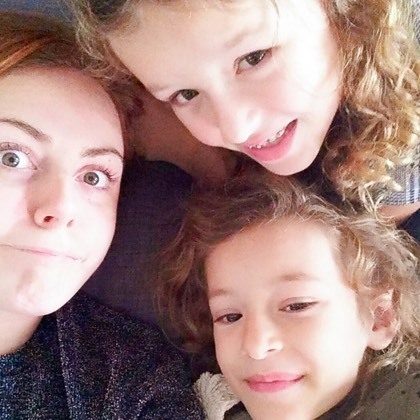 After completing her CAP petite enfance with our own Paris Institute of Chilcare Training in 2017, Jade has continued with families from the agency as well as balancing work in a creche part time. Already speaking both Italian and mandari, being in France has allowed Jade to add another feather to her bow by perfecting her French. 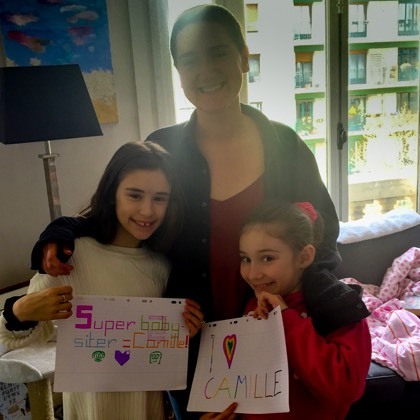 Camille moved to Paris to spend time with her French grandmother after finishing her science degree in the US and really enjoys discovering more about the city and her French heritage whilst perfecting her linguistic skills. Her Le Répertoire de Gaspard family are big fans of hers!